Aspen is the new collection produced by Alma Light and designed by OBJ Studio. With the name of Aspen, these lamps are inspired by the rustic and sophisticated style of the life that offers this mountain town. 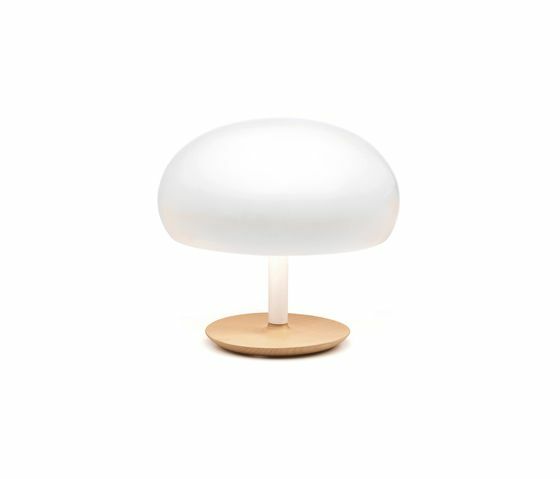 The structure and base made of natural varnished massive oak wood, combined with one short iron rod white painted, along with the textile cable, confers to the collection a natural and craftsman aspect that is complemented with a lampshade made in gloss white enameled ceramic. The collection is composed by table and reading floor lamp with 3 different lampshade formats, that they combine perfectly together, in one unique finishing: Oak wood and white.